I'm a huge fan of making all of my own household products. Whether it's bathing products, food, or cleaning products, I like everything to be natural and to know what ingredients are going into the items we are eating or using in and around our household. Today there are so many chemicals and unknown ingredients in all of the products we are purchasing from the store that are hurting us or making us sick. Who wants to be poisoned inside their own home? We certainly don't. 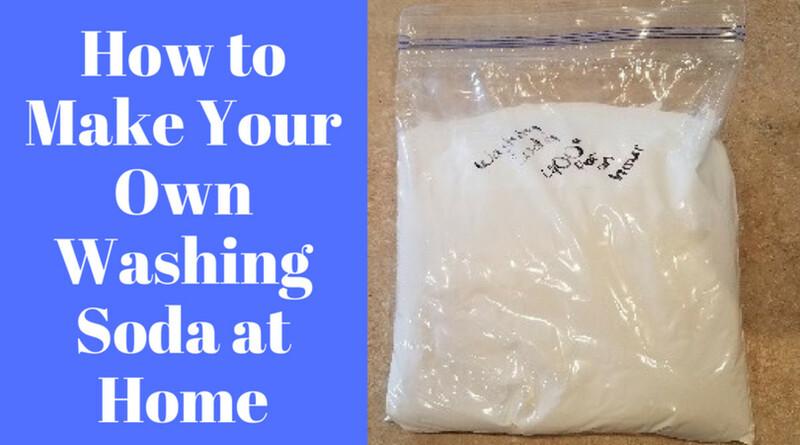 I learned how to make my own washing powder when I started making my own homemade laundry detergent including this great cleaning ingredient. 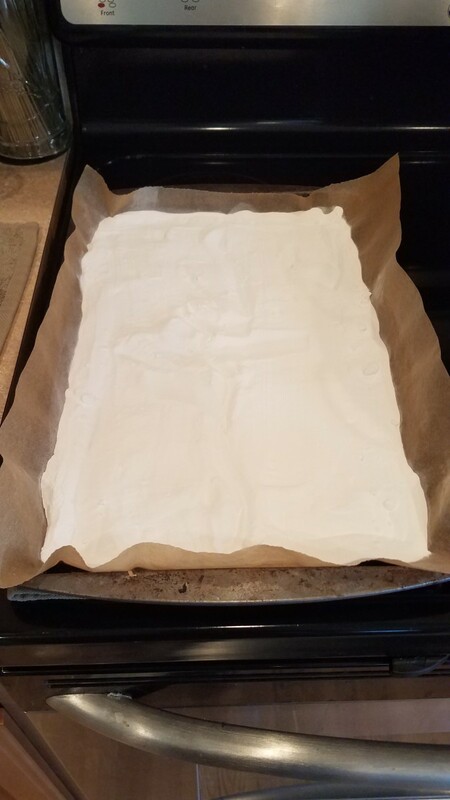 In turn, I can also show you how to make your own baking powder for cooking, both being made from baking soda, but definitely not at the same time. I really struggled to find washing soda at the store. I swear I visited every grocery store and hardware store in the area trying to find it, and no one had any clue what I was talking about. I guess no one makes their own products anymore. 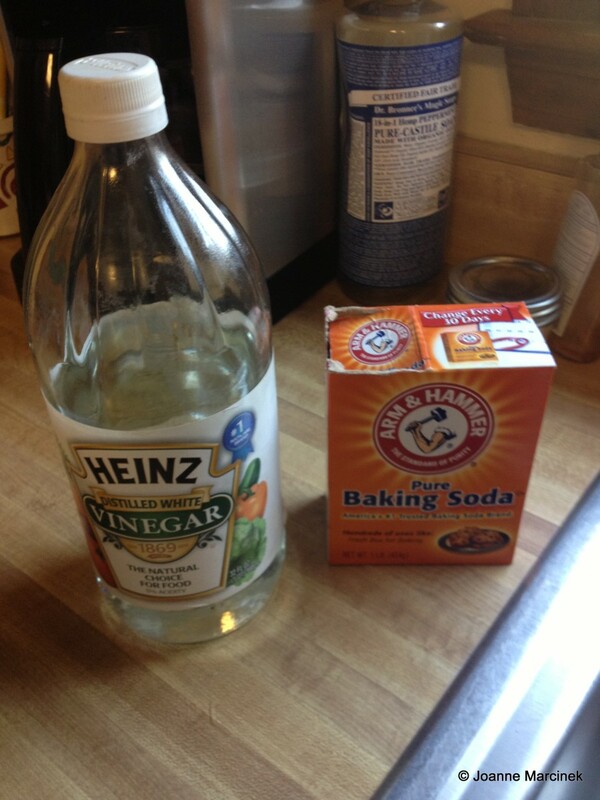 Then I finally ran into a great washing soda recipe (this was years ago) that I could make myself at home using baking soda. That I could handle! I always hate those recipes where you can't find half of the ingredients you're looking for anywhere. That's another great reason that I just make my own products. So let's get to the recipe. I'm sure you're ready to make your own by now! This is super simple! 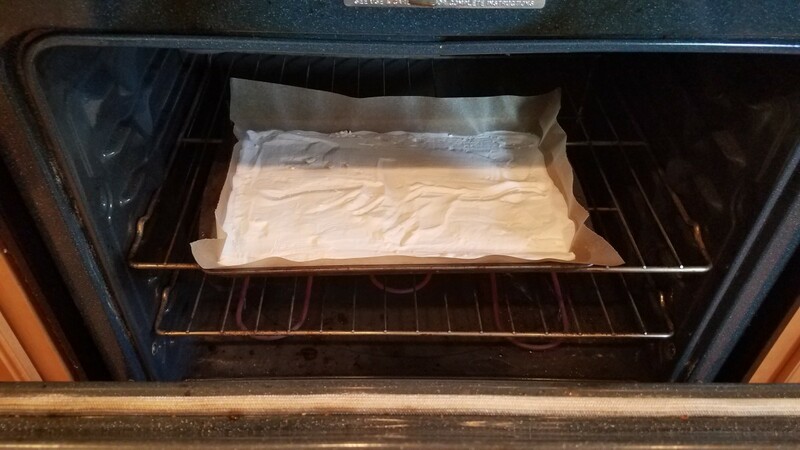 Preheat your oven to 400 degrees F and line a cookie sheet with an extra large piece of parchment paper. 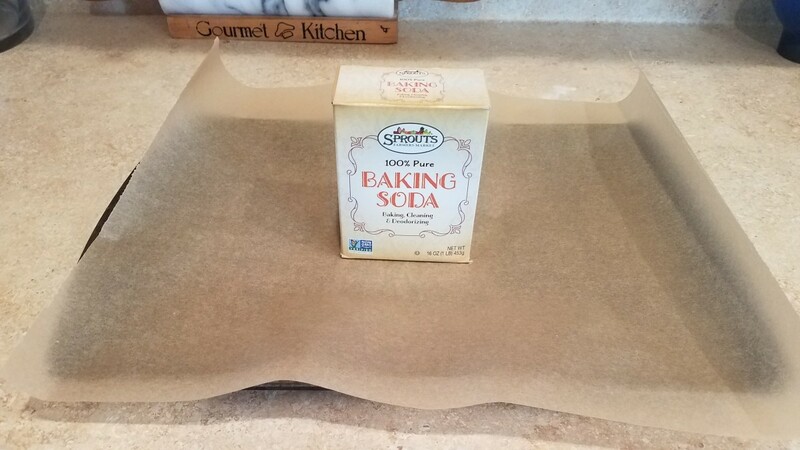 Pour the entire box of baking soda out onto the prepared cookie sheet. 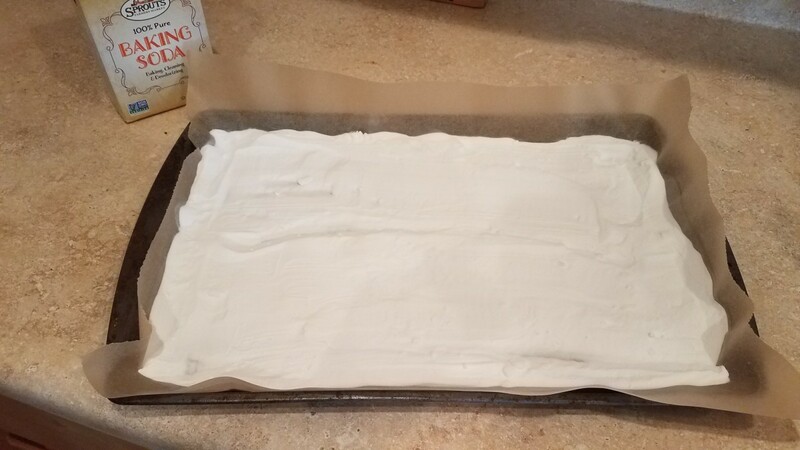 Spread the baking soda out evenly across the entire pan. Slide it into the oven and bake for 1 hour. When you remove it from the oven and pour it into a sandwich bag, be very careful. Once it changes into washing soda, due to the heat of the oven, it is caustic and can be very dangerous to breathe in or get into your eyes. Keep it out of reach of children. It would be very poisonous to them. 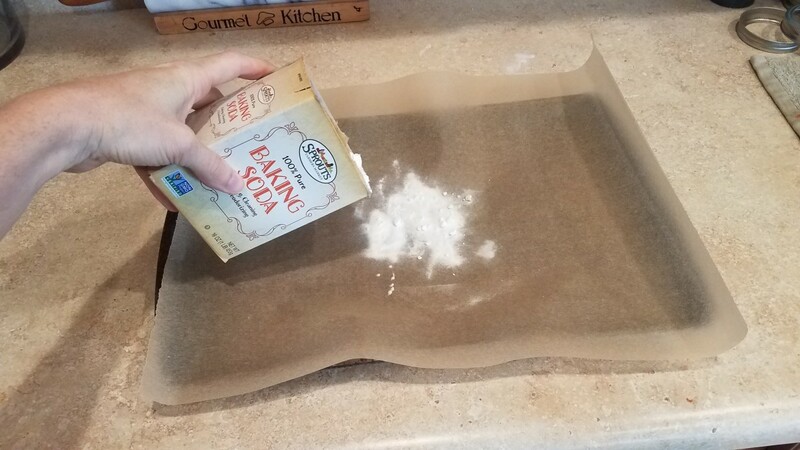 Pour your entire box of baking soda out onto your pan. Spread it evenly across your pan. Pop in the oven and bake for 1 hour. Let cool completely on the stove before pouring it into your desired container. This is my labeled bag for washing soda. 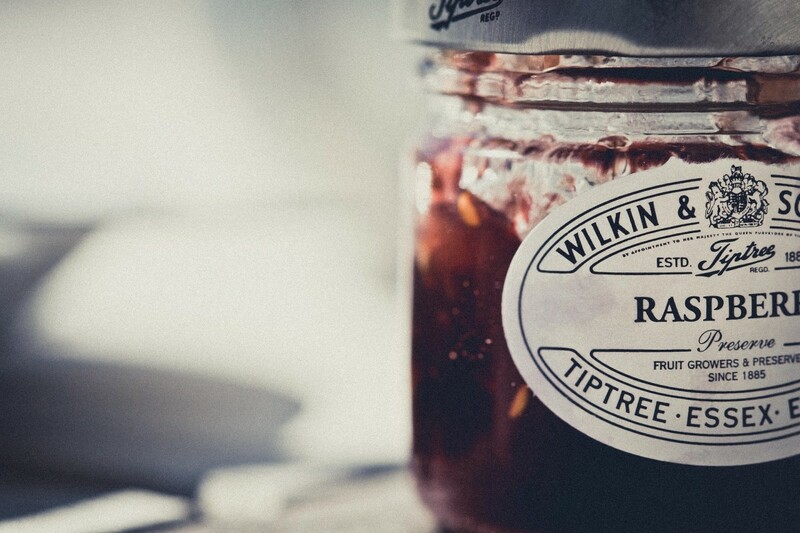 I keep it on a high shelf in the laundry room, labeled, with instructions on how to make it again. This is how I'm going to fill my bag without a second person to help. 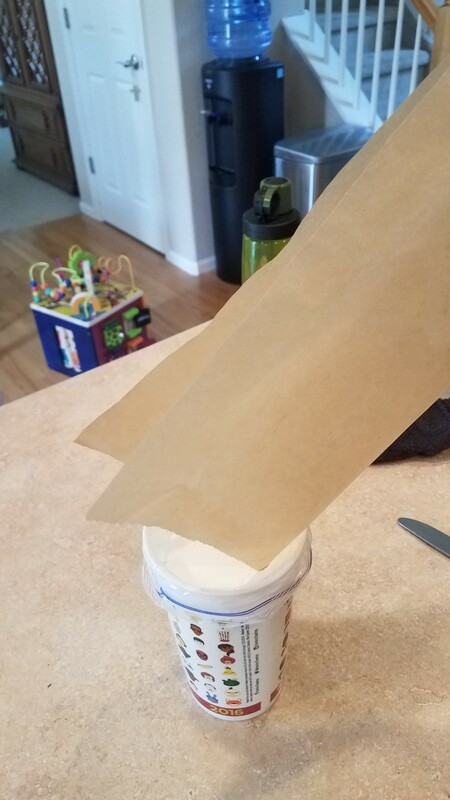 I use the parchment paper to slide it all into the bag. Then I sealed it up tight and put it in a safe place for when I need it. 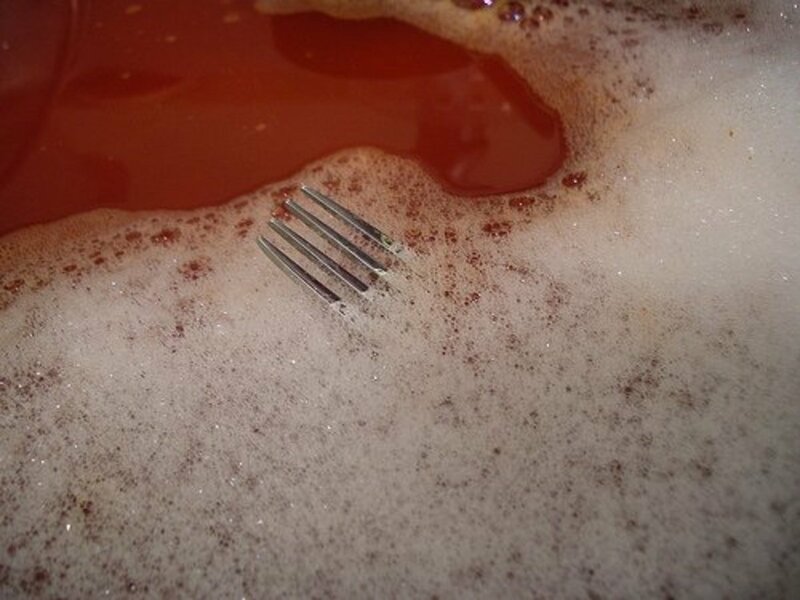 As you can see, washing soda is made from baking soda and nothing else. There's a chemical reaction that happens when you heat it to high temperatures for a period of time in the oven that makes it washing soda. I recommend using natural baking soda for this, only because I work hard to keep all chemicals out of my home. I've been grabbing my natural baking soda from Sprouts for only $0.99 a box. So you know I grab a stack of them when I can, because I use it for everything! Conventional baking soda, on the other hand, is synthetic, or man-made. Manufacturers use various chemicals and chemical reactions to take the by products of volcano ash and deposits and turn it into the baking soda we are familiar with in the store. As easy as washing soda is to make on your own, there's no reason that you should be spending big money on it. There are so many wonderful ways that you can use washing soda in your home. It's composition makes it perfect for cleaning household messes, or using in natural cleaners. 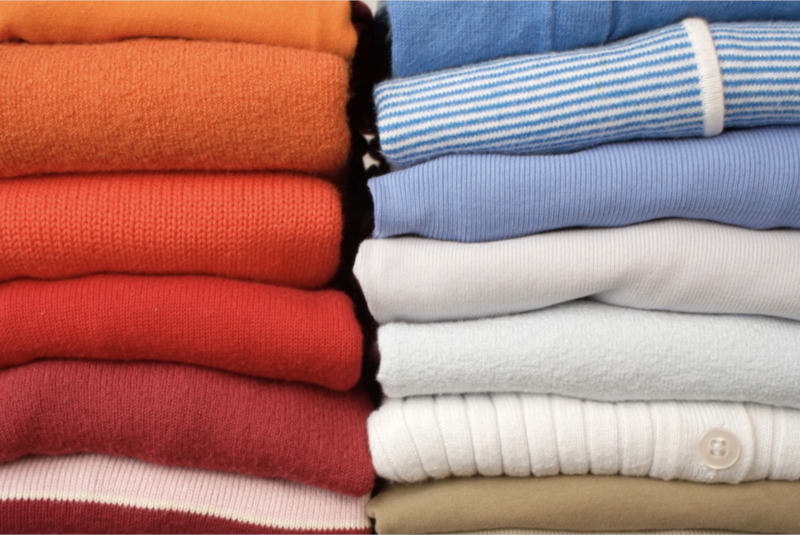 The first and most ideal way to use it is in your laundry to remove stains and brighten your clothes. 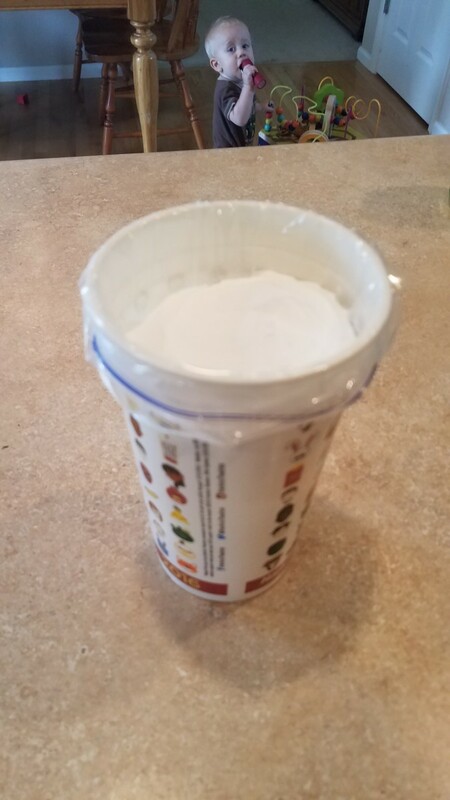 I actually use it in my Homemade Laundry Detergent recipe, but you could simply toss in a 1/2 cup of washing soda to any load of laundry to clean stinky clothes and remove the dinginess. This is great for when you have boys, or a really dirty husband, at home. 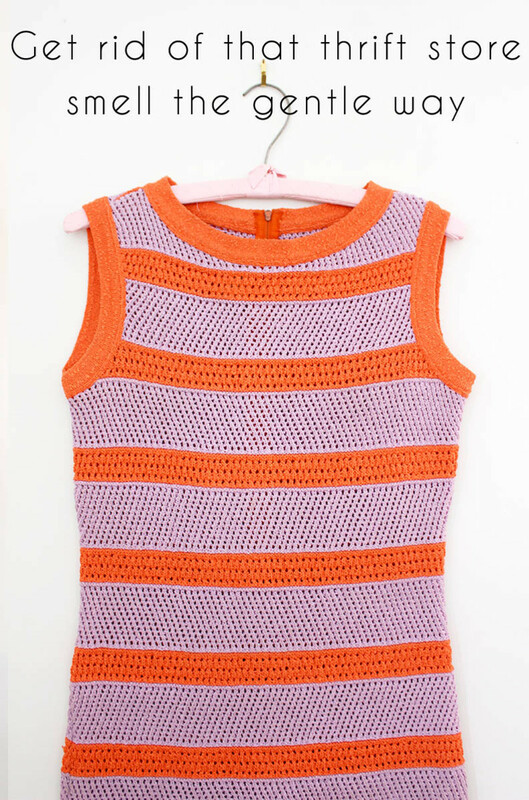 You can sprinkle it on stains for a minute or so before tossing your clothes in the washing machine, and if you have really tough grease stains, like my husband does driving and working on big machinery all day, you can soak your clothes in a cup of washing soda, with a full washing machine of water for 20 minutes before letting the load finish washing. 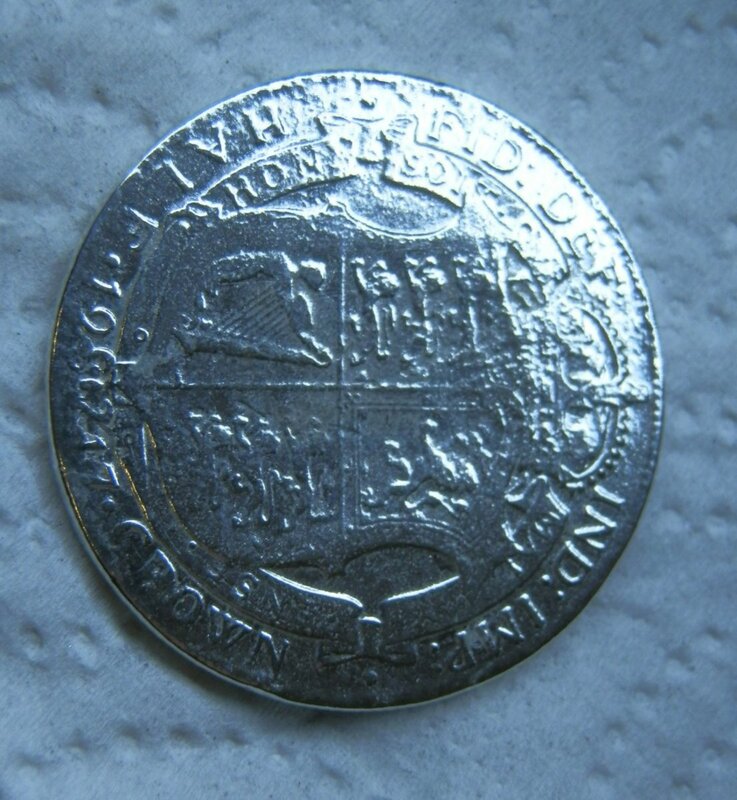 Anywhere in the house that you can think of to use an abrasive powder cleaner, you can use this. Use it to clean your grill, your bathtub, and even the oven. 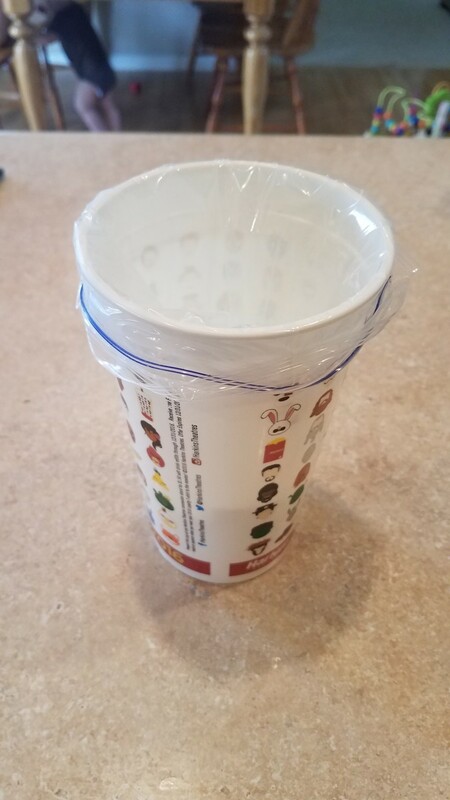 This is great for cleaning stubborn food or burns in your pots and pans, on tile floors or shower doors. Washing soda also makes a great deodorizer for trash cans, disposals, and even your carpet (as long as you vacuum it up rather quickly). Wellness Mama has tons more fantastic uses for washing soda, like making an all-purpose cleaner and dishwashing soap with it. You should check out her article if you need more ideas. I would love to hear how it worked for you and what you ended up using it for! I love having it available, and so quick and easy to make, in my house. 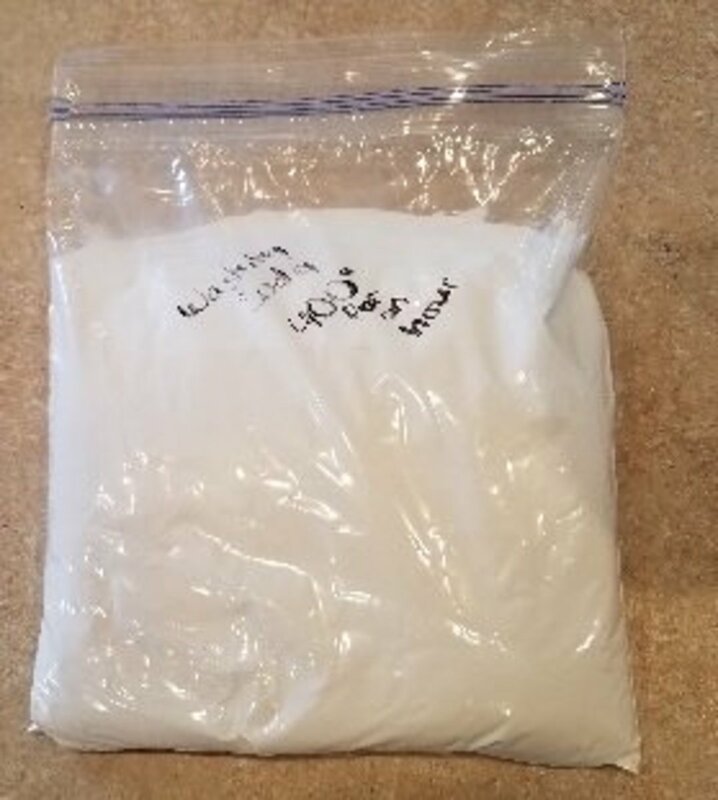 I just keep my bag ready on a high shelf in my laundry room to keep it away from my kids and our pets, and when I need a super cleaner, especially in the laundry, I have it waiting for me. Check out my Hubpages profile for more great homemade green cleaners for your home! 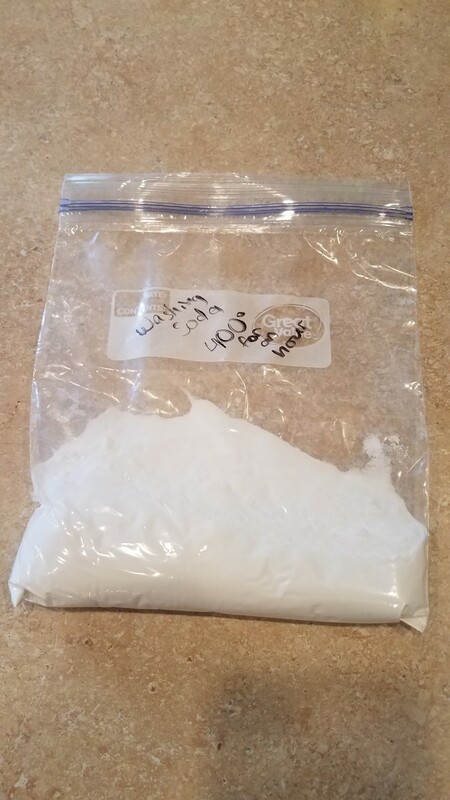 I use baking soda in my laundry detergent recipe as well as washing soda. lol You make a good point. Washing soda has different properties than baking soda, which make them wonderful cleaners for different kinds of projects. 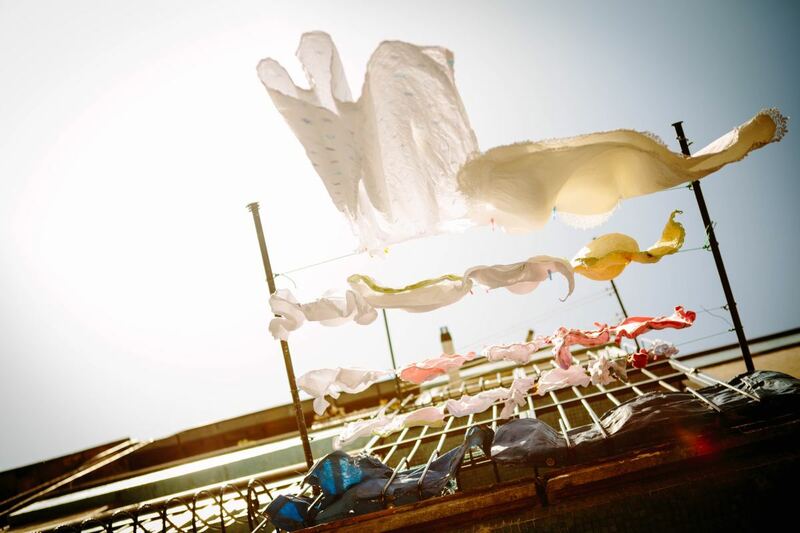 Both baking soda and washing soda have excellent qualities, but you would never use washing soda in your food or on your body the way you can baking soda. If heating baking soda makes it caustic and poisonous to children, why would you want to use it? 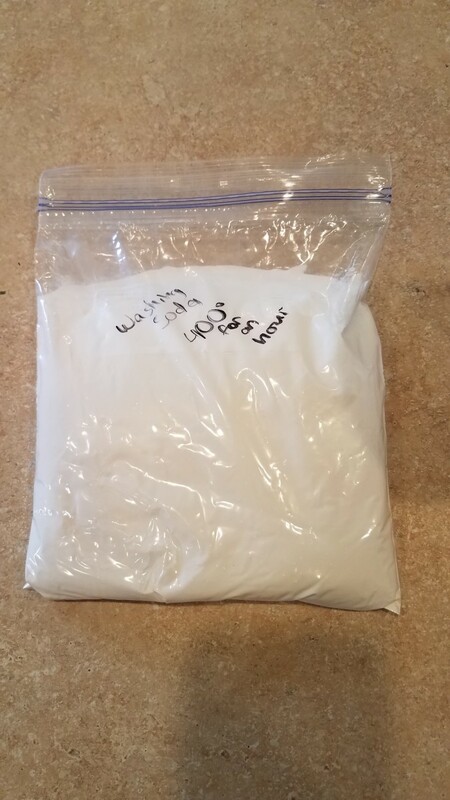 I use straight baking soda in the laundry when I'm doing whites (instead of bleach) and make a paste of baking soda and water for scrubbing grout, tile, etc. I even brush my teeth with it.